At least 67 police officers have been arrested in Turkey on suspicion of spying and illegal wire-tapping. The allegations involve police who were part of a corruption investigation that targeted PM Recep Tayyip Erdogan’s inner circle. Among those arrested in raids that took place across Turkey are two former heads of Istanbul’s anti-terror police. The Istanbul prosecutor said that thousands of people had had their phones tapped, including PM Recep Tayyip Erdogan, senior ministers and the head of Turkish intelligence. Arrest warrants had been issued for more than 100 suspects, he said. Two police commissioners and one department chief were detained in the capital, Ankara, Anatolia news agency reported. The corruption inquiry emerged last December and led to the sons of three ministers being detained and, ultimately, four ministers leaving their jobs. 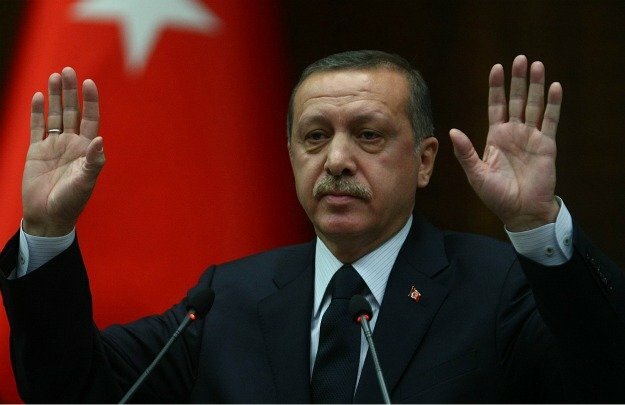 PM Recep Tayyip Erdogan alleges the investigation was orchestrated by supporters of US-based Muslim cleric Fethullah Gulen, once his rival in Turkey. The prime minister and his son, Bilal, were then caught up in February in a subsequent wire-tap which appeared to show them talking about hiding a large sum of money. One of those arrested on Tuesday was the former deputy head of Istanbul’s financial crimes unit who was on duty at the time of the February operation, reports say.